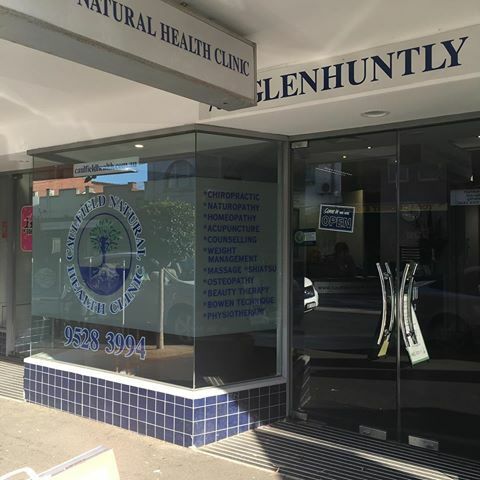 Welcome to Caulfield Natural Health Clinic! The team at Caulfield Natural Health Clinic are excited to be a part of your journey back to optimum health. We are proud to be able to offer many different modalities to suit your needs. We are a well established clinic in Caulfield South and have been proud members of our local business community since 1997. Linda, Amanda, and Aimee are our receptionists extraordinaire. They will make you feel welcome right from the first time you call us. We are living proof that Chiropractic, Physiotherapy, Osteopathy, and Massage Therapy practitioners can work together! Introducing Sandra, Shanee, Daniella, Kim, and Bridie. Our practitioners bring together many years of experience and we are confident that we can find a treatment style that will be the best fit for you. If you need nutritional support, Acupuncture, Chinese Medicine, or Naturopathy, Genya and Galia are our Naturopaths. For support with emotional issues, Inbal is here to provide excellent, empathic counselling. As for some extra pampering, Beauty Therapy services are also available with Zhanna. Give us a call today on (03) 9528 3994 and our reception staff will be more than happy to help you find the assistance you need.